VCFA’s Katie Krcmarik and Heather Snyder Quinn at MAKE! 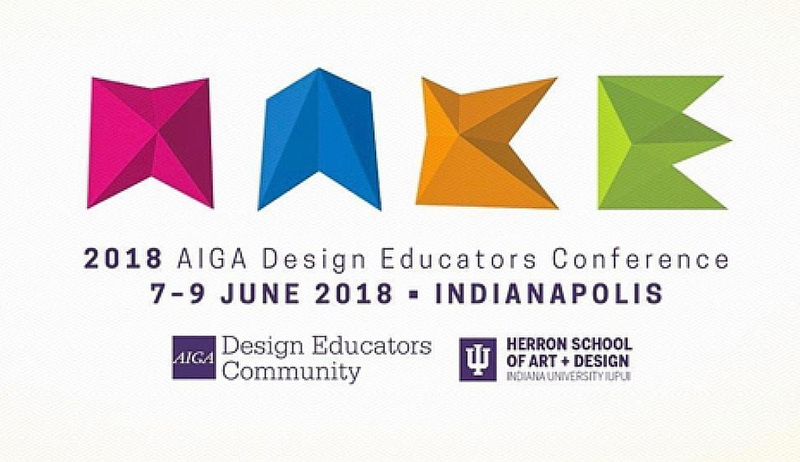 Current MFA in GD students Katie Krcmarik and Heather Snyder Quinn will both be presenting at the 2018 AIGA Design Educator’s Conference, MAKE. Katie will be presenting Rethinking Visual Communication Curriculum: The Success of an Emporium Style Teaching Model with Adam Wagler (her colleague from University of Nebraska). Heather will be presenting two talks—Leveraging the Smartphone as a Teaching Tool and Methods for Encouraging Risk Taking in Design Education (co-authored with two of her DePaul colleagues).